One of the purest joys in all of racing is when the race cars aren’t in competition and just get hooned like regular cars. Red Bull Racing was Hungary (get it? GET IT??? Like, Hungary “the country,” “hungry” the need for sustenance... you know what? I’m sorry. 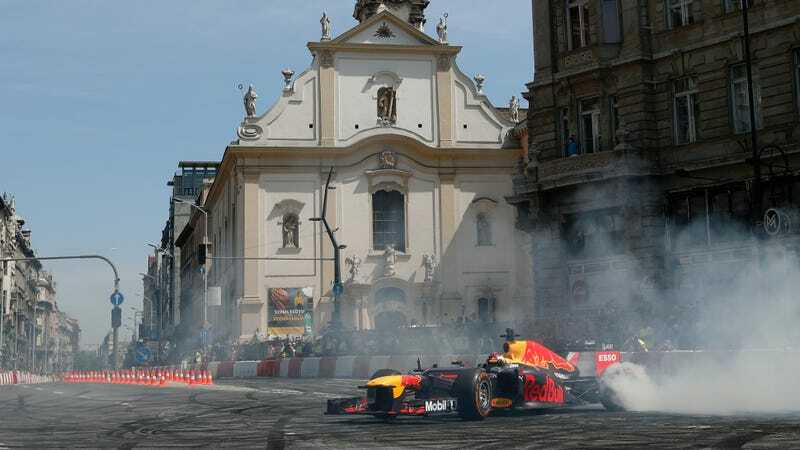 Jesus, I’m sorry) for donuts this week, so they let Formula One driver Max Verstappen out in downtown Budapest to nuke some F1 tires. It is a delight. Verstappen may have earned his very own “Has Max Crashed Today?” site this year, but he seems to be having a good time ripping donuts for the crowds. Red Bull whips back out the RB8 for their show runs this year, which still has a big, loud V8 instead of the newer, quieter hybrid V6 engines they run now. 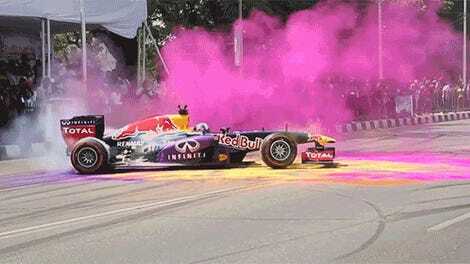 Red Bull won both drivers’ (with Sebastian Vettel) and constructors’ championships with this very car, and here it is, doing donuts for our amusement. That’s way better than mothballing it into a sad, stationary place in a museum. Formula One doesn’t race in Hungary until later this summer, but Red Bull was there as part of Budapest’s annual May Day celebration of cars and motorsport called The Great Run. It won’t be the only show car appearance this week, however. Ex-Red Bull F1 driver and frequent broadcast talking head David Coulthard will take the RB7 F1 car to Ho Chi Min City in Vietnam, per the team. I expect more donuts.